Dr. Hergenrather started his career in sales and operations with a major U.S. airline for five years before joining Hergenrather & Company in 1976. The company is a nationally recognized management consulting firm specializing in senior to mid-level executive search, and is one of the first in America. As an Associate of the firm, Richard developed one of the industries' first computerized resume database and retrieval systems. He was promoted to Senior Vice President in 1979 and was elected President in 1989. In 1990, he purchased the company and is now the Chairman and Chief Executive Officer. Over the years, he has successfully conducted hundreds of search engagements covering all functional areas and most industries. His clients include highly regarded international and domestic Fortune 1000 companies in the private, public and non-profit business sectors, as well as mid-sized and promising entrepreneurial start-up companies. Richard earned his Ph.D. in Executive Management from The Peter F. Drucker Graduate University in 1993, where he studied under the world renowned business guru, Dr. Peter F. Drucker. 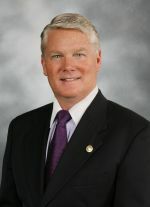 Hergenrather's area of expertise is in the field of management succession planning and the executive selection process. He has authored, and been quoted in, national publications and articles on management succession practices as well as the executive search profession. In addition, he earned a Masters degree in Business Administration from the University of Southern California in 1982, with emphasis in Strategic Planning and Finance, and a Bachelor's degree from Oregon State University in 1971. Dr. Hergenrather has ranked among the top Business, Economics, Marketing, Organizational Behavior and Law professors at premier universities and colleges for many years. He was a Professor of Microeconomics, Macroeconomics, Management and Organizational Behavior courses at the University of Southern California's Executive MBA Program. In 1996, he was invited to China to assist in developing international graduate business programs for the Chinese government and U.S. corporations doing business in the country. He served on a number of advisory boards and is a Rotary International Paul Harris Fellow. He is involved in church, community, non-profit organizations and long-distance endurance sports. In 1954, Edmund Hergenrather established Hergenrather & Associates as the first professional executive search organization west of Chicago. 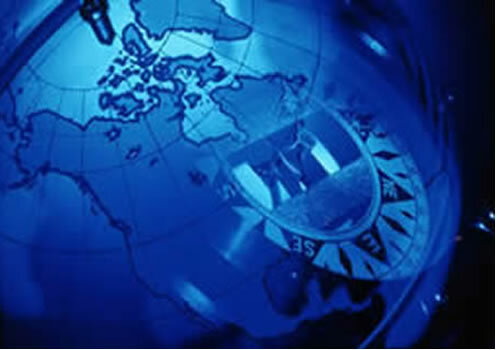 Located in Los Angeles, the firm has become one of the premier executive search firms in America. Shortly afterwards, he was made an honorary member of the prestigious YPO (Young Presidents Organization.) Over the years, he published scores of national articles and made hundreds of public speaking appearances and radio engagements throughout the U.S. In 1984, he was honored by The National Association of Executive Search Consultants as a Dean and Founder of the profession and was recognized by his peers for his extraordinary contributions to the industry. He was one of the founding members of the National Association of Executive Recruiters and gave generously of his time, energy and resources to numerous charitable organizations, serving on the Boards of the Los Angeles Boy Scouts of America, Iowa State University Foundation, Allan Hancock College Foundation, San Francisco Theological Seminary, LA #5 Rotary International. He was also active with the Los Angeles Chamber of Commerce, Merchants and Manufacturers Association, San Marino Presbyterian Church, Alisal Golf Club in Santa Ynez and many other philanthropic organizations.